1 Peter 2:25 - "For you were continually straying like sheep, but now you have returned to the Shepherd and Guardian of your souls." It is amazing how much scripture relates to other scripture. Ezekiel 34-35 and 1 Peter 2 are a prime examples of the Divine Authorship that makes such unity possible. Ezekiel 34 is a prophecy of how God is going to restore His lost sheep - Israel, to be united under One Great Shepherd, the Messiah, who in the text is named David in Ezekiel 34:25. 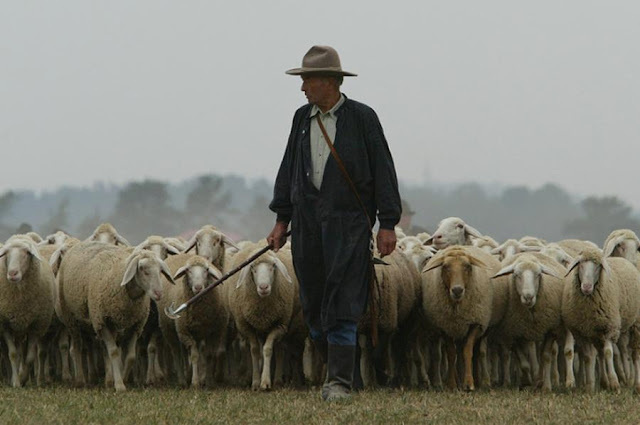 Whenever you read of how this Great Shepherd will judge between the sheep and the goats and bring back the scattered sheep to their land in Ezekiel 34:11-19, you discover that Jesus described Himself doing this very act at His return when He sets up His kingdom in Matthew 25. Jesus Christ is the Great Shepherd of Ezekiel's prophecy. The Apostle Peter under divine inspiration wrote these words in 1 Peter 2:25 - "For you were continually straying like sheep, but now you have returned to the Shepherd and Guardian of your souls." Ezekiel 34:1-10 gives some great principles for pastors or undershepherds who serve Christ's church, as well as instructions and characteristics that believers need to have, and attitudes that must be avoided to remain healthy under Christ's Lordship. 1 Peter 2:1-12 instructs believers on their true identity in Jesus Christ as living stones and a royal priesthood that was chosen and called to be examples of Christ's love and character to a watching world. Ezekiel 35 is a prophecy against the descendants of Esau, the Edomites, who had a long history of abandoning Israel throughout her history whenever enemies came to attack. Like the animosity that existed between Jacob and Esau in Genesis, their respective descendants (Israel and Edom) never had friendly associations. God's judgment on Edom is a reminder that as the Great Shepherd, he protects His flock from the attacks of the enemy. In 1 Peter 2:13-25 we see Peter stating how much Christ loved His flock in dying for it with His life and raising from the dead to provide abundant life. Jesus Christ is our Emperor of Salvation and Example to follow in sanctification. Truly He is the Shepherd, we are the sheep and thus let us follow Him today!